A handsome stag head, mounted to hang on your wall. 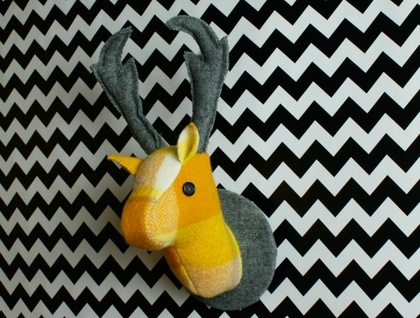 Made from vintage re-purposed wool blankets, the buck is yellow, brown and white check mounted on grey, with grey antlers. 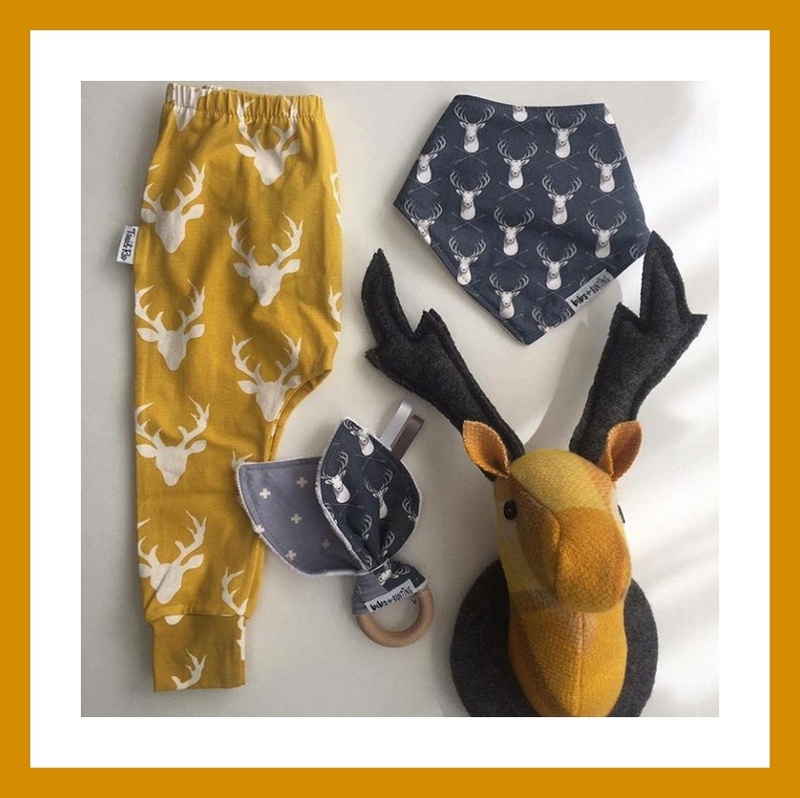 He is also available with cream mount and antlers. He can come with a matching Doe-a-Deer in either colour mounts. 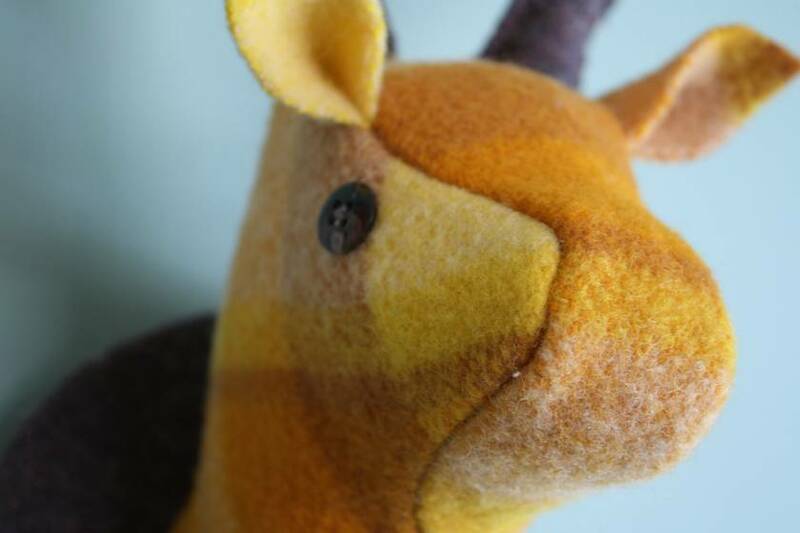 Your deer may not be identical to this fellow, but will be made from the same blanket and be very similar. If you are ordering internationally, please choose paypal, bank deposit is available to NZ bank accounts only.. He has vintage button eyes. The buck's antlers are wired so they can be re-arranged to their best angle. A friendly looking, cute wee creature, great for a child's bedroom or over your fire place! 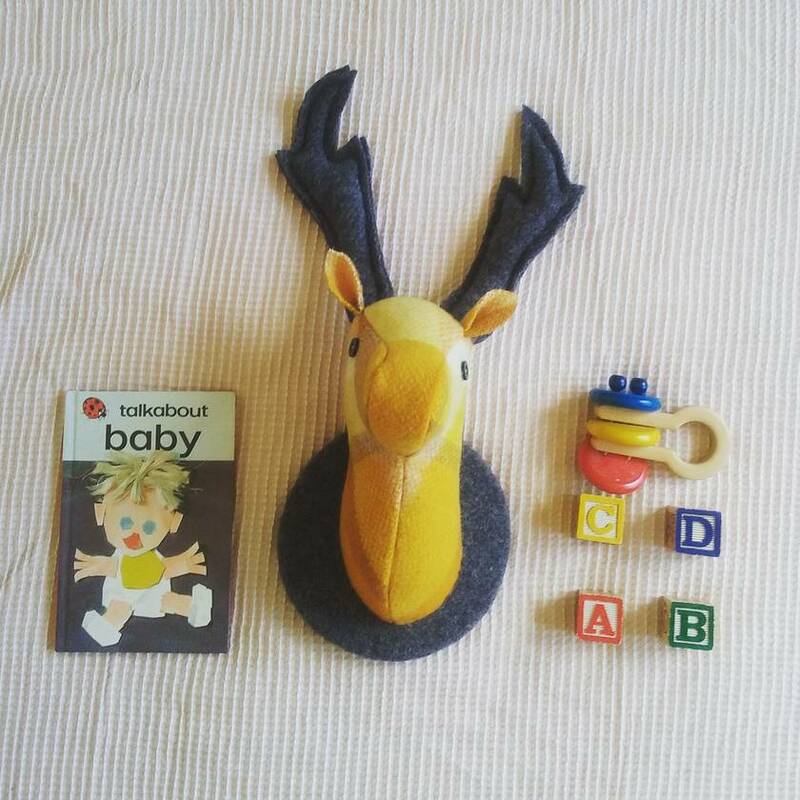 He is light and easy to hang from a picture hook or a push pin. The back board measures 16 cm, the buck is 41 cm from antler tip to base and approx 18 cm deep. No animals were harmed in the making of this hanging!